We’re proposing a dedicated cycle route from the top of Back Hill to the Station. This route is used by large numbers* of cyclists every day as part of their commute to work. Improving this route will not only make those journeys safer but should also encourage other commuters who currently drive to the Station to cycle instead. The route would run from the roundabout at the top of Back Hill (by the King’s School) down Back Hill to the Broad Street junction, along left-hand side of Station Road from Broad Street to opposite the station, completely avoiding the roundabout. Back Hill To provide space for the route we’re proposing that Back Hill be made one-way. Station Road From Broad Street to the roundabout we’re proposing the route use the space on the left hand side of Station Road currently used for on-road parking. Roundabout The route will avoid the roundabout by using the current lay-by and then continue up to the current crossing. Station Approach The last section would use the HGV lane (after the bypass makes it redundant) and then cross directly in to the station car park. We’re proposing that the route is a wide two-way lane along it’s entire length for the following reasons. It is the most logical solution for a single joined up route. It will allow the route to completely avoid the roundabout. 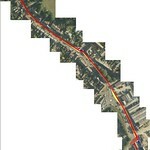 It will allow the route to be properly separated from traffic. The Broad Street junction is currently one of the most dangerous junctions in Ely*. We would like to see the junction redesigned to make it safer, for example making the whole junction into a raised, brick block section (like the High Street) to force all traffic (including cycle traffic coming down Back Hill) to reduce their speed. 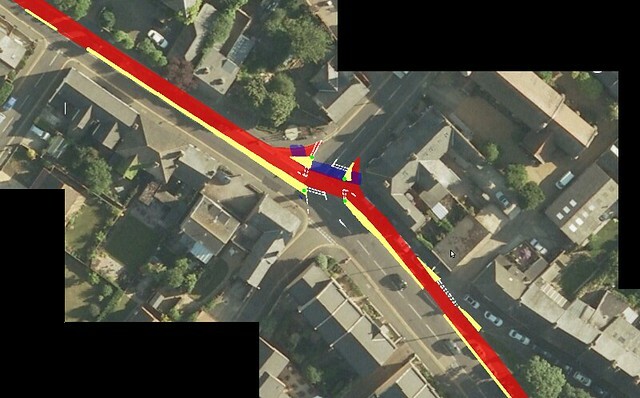 A more comprehensive redesign with the new cycle route crossing the flow of traffic from Station Road to Broad Street in a controlled manner is show above. The station travel plan survey, carried out in 2010, showed that the mode share for cycles for the journey to the station was 16% of those users surveyed, which is well above the national average (5%). Passenger counts undertaken at the station in November 2011, which showed that in excess of 180 cycles were parked at the station at the end of the morning peak (0900), in addition to which a further 110 cycles had been taken on the train between 0630 and 0900. 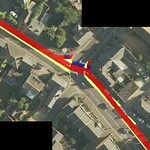 *Back Hill/ Broad Street is an ‘black spot’ with 11 accidents in the last 5 years, 7 of which involved cyclists. This was put forward as an option at the ECDC stakeholder meetings and was relatively favourably received. March 25th: Met with the project manager for the new Southern bypass to discuss cycling provision relating to that project. Discussed improving the station approach in line with our proposals above. April 4th: Contacted County Cycling Officer to start process that will hopefully lead to a “shovel ready” plan for the city end of the route along Back Hill and Station Road. April 9th: Agreed to arrange meeting in May after County Council elections. May 7th: Agreed site meeting date for May 17th. May 17th: 9 am Site meeting with 2 County Cycling officers, Councillor Rouse and 4 campaign members. Spent about 30 mins looking at several parts of the route. It was agreed that removing the parking spaces on Station Road between Broad Street and Annesdale should be uncontentious. County cycling officers agreed that the Back Hill is intimidating for cyclists especially less confident ones, we saw cyclists forced into the gutte r going uphill, cars travelling at excessive speed, large HGVs turning right into Broad Street and several other common problems with this stretch of road. There is no easy answer I’m afraid. Removing the conflict is the best solution, but this would require some form of restriction on motor vehicles accessing Broad Street, which looking at the wider road network would require some fairly lengthy traffic diversions. Changing priorities to allow the turn in/out of Broad St as the predominant flow is another option but that would require downhill cyclists to give way which could be tricky. Given the likely reduction of traffic flow in this area with the bypass, and also the hope that the City Council might agree to some sort of trial of allowing cyclists past The Cutter, there should be less motor and cycle traffic in this area. Measures to highlight the hazard through signage etc is probably all than can be done at present. We will continue to rack our brains for a solution, but looking at a map of the city Broad St/Back Hill junction is a key junction in the traffic network and any major change that impacts on motor traffic would be politically challenging to implement. June 17th: At monthly meeting, discussed how the campaign should respond to the above reply. We discussed your response at our meeting on Monday night and as you can probably understand we’re pretty disappointed with it. We contacted you in order to start a process that would lead to getting an agreed “shovel ready” solution if/when funding became available. Hoping it will go away is just not good enough. We know that the solution we’re pushing for involves restricting traffic and reallocating road space on Back Hill. This is unavoidable. We know that this will mean traffic flow around Ely will change, but we don’t accept is that this means we cannot proceed. We know it’s going to be “tricky” but that’s not a reason to give up and we would really like to find some ways to move forward. After we met for a site visit our members were left feeling positive. It seemed that there were realistic options for improvement, however these appear to have been ignored. A number of specific questions were raised by our members which we’d like responses to. 1. Removing the on-street parking on Station Road between Broad Street and Annesdale was seen as uncontentious and had the backing of Cllr Rouse. Could you please give us a timescale as to when something is likely to get done and could you please keep us in the loop as to which options you are proposing for this stretch. 2. Back Hill and Broad Street is obviously a junction with complex problems. We’d like to know whether you’ve discussed the issue with any of your colleagues in Highways or Road Safety? If not we think it would be useful to include them. 3. We’re confused as to why you think the by-pass will reduce traffic on Back Hill. The by-pass serves a totally different route to Back Hill. We think most traffic on Back Hill/ Broad Street is to/from the city centre and the supermarkets on Lisle Lane, the new by-pass won’t affect this traffic. Do you have traffic study evidence that predicts traffic volumes will be reduced on Back Hill after the by-pass is built? 4. Have you considered the additional cycle traffic that the North of Ely developments will generate on Back Hill in the near future? Lastly we’d like to know what you plan as the next stage of this process. Back Hill is the major cycle route within Ely. The junction with Broad Street has the worst accident record for the whole district, and is particularly bad for cyclists. We’re not willing to wait and hope that traffic flows reduce, we want to see a credible plan of action that leads to real improvements. I have spoken to East Cambs DC and they have decided to commission consultants to consider possible options for Back Hill/Broad Street. It will be interesting to see what they come up with. Chasing up who is running the consultation at ECDC. Pedestrian Crossings: Options for locating a crossing in the vicinity of the entrance to Forehill Car Park to allow pedestrians to safely cross Broad Street to be explored, and a review of the entire route from Lisle Lane to Ely rail station to be undertaken to assess if further crossings are required elsewhere. Cycle route from Lisle Lane to the station: A safe route to be mapped, via segregated cycle paths where possible. Forehill/Broad Street Junction: A review of the layout of the junction to be conducted to assess whether the traffic priorities need to change and options for any alterations to road layout to be presented. Speed management along Lisle Lane: Options to include management through signage and other measures, which will reduce the speed of traffic along Lisle Lane to be investigated. 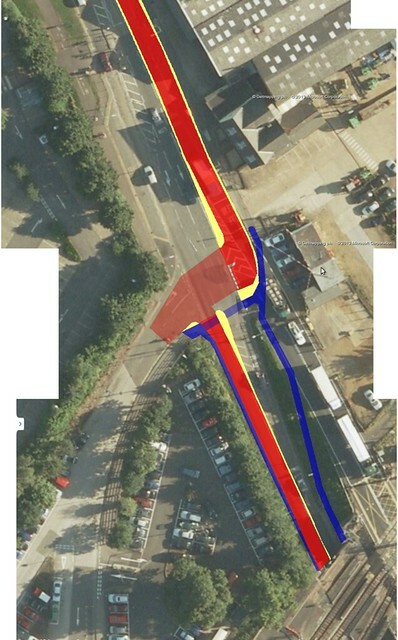 Broad Street/Back Hill junction: A review of the layout of the junction to provide options to improve safety at the junction for cyclists coming down Back Hill. Stage 2: Further detailed work to fully design and cost selected projects to the level required for implementation. Comment on behalf of the King’s School. I’m sure you, like me, have been involved in the various consultations around the future for the ‘Station Gateway’ area once the decision is made on the route for the southern bypass. It is widely acknowledged that access for all users (on foot, cycle or by car) around this area is extremely poor. 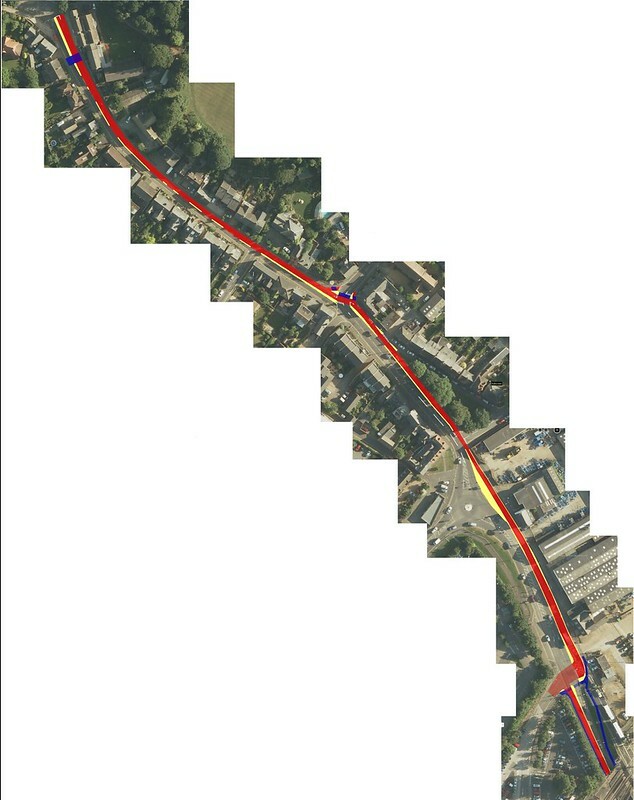 The walking route for our students from the School to the station is reasonable (down the south side of Back Hill, across the A142 at the pedestrian island south of the roundabout). Our extreme concern is for safety of their route below the underpass to our field, where they have to make two additional crossings of the road and use the unfenced path below the railway. So great is our concern that we are resorting to bussing students to and from the field, a solution which makes no sense in environmental and health terms, and of course actually increases congestion in the area. We are working with various local officials and councillors on this problem, and have made a number of suggestions, but in the current financial climate it seems unlikely that rapid action will be possible. On your specific proposal, which has some merit, I see problems with the suggestion of making Back Hill one-way (you don’t mention which way). The resulting increased travel distances for cars would be very inconvenient, and would increase congestion and emissions – I’m currently imagining the route diversions that would be needed. Although our interests differ somewhat, and I cannot at present fully support your proposal, we are all in agreement that improvements to the station area are long overdue. Hopefully once the southern bypass decision is finally made the best way forward in improving access and safety in the station area will become clearer. This exit needs widening – ideally with a dedicated cycle-lane. There is a lot of wasted grass-verge that could be used if the telegraph-pole (!?) was moved slightly. There’s even space for two exit lanes (just). Is this worth a separate Station-approach improvement project ??? There are plans to improve the station gateway (as the area in front of the station is referred to) after the by-pass is settled (which I know is a long way off). We’re hoping to get one of the people behind Ely Crossing Action to come to the next meeting to talk about an alternative to the by-pass which has a lot of interesting ideas for the station approach. We could certainly look into trying to get some short term changes looked into as the long term solutions are still a long way off. Assuming we have a two way cycle path on the opposite side of the station going along station road I think the best way would be to cross straight over from the station entrance. There probably needs to be a traffic light at the station entrance. 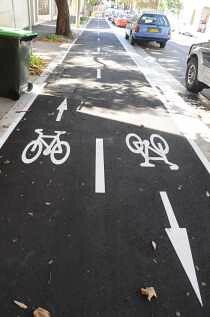 Cars can turn left or right and bikes can also go straight over onto the cycle path. Within the station area I agree the grass verge should be used as a cycle path/ shared use path (it’s difficult for pedestrians as well). 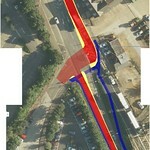 The route on the project page uses the current crossing and adds a better cycle route from there into the station using the bus stop and verge. I don’t think you can’t go straight across to the station entrance while the level crossing is still open as that involves crossing both lanes of traffic (from the underpass and the level crossing). The Ely Crossing Action site has plans which include a station approach that uses the level crossing ramp and then sweeps across the underpass to the front of the station which is quite a neat long term solution.